How much will a Renault Twizy cost? 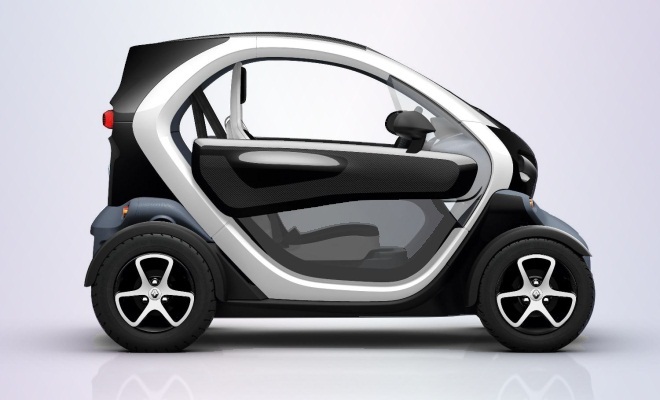 Renault has finally announced UK prices for its innovative Twizy electric runabout thing, due to go on sale in April 2012. Two trim levels will be available initially – called Urban and Technic – and both are powered by the same 17bhp motor and 7kWh battery pack. Other trim levels – no doubt including a fully optioned luxury spec – are in the works. 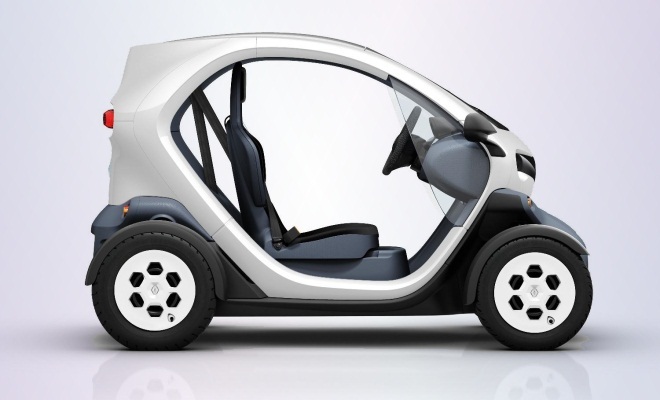 The basic Urban Twizy will cost from £6,690 on the road, and the slightly more swish Technic will start from £7,400. [Update: a colourful “Colour” variation on the Urban model is also now available, costing from £6,950.] Buyers will also need to budget for another £45 to £67 per month to rent the battery from Renault – much like a mobile phone, costs vary according to your usage plan. As well as pondering conventional options like metallic paint or a sunshine roof, buyers will also need to assess the merits of adding doors. By default, all versions of the Twizy come without any. An outlay of £545 will keep out some of the weather – and “some” is the operative word. The doors will seem weatherproof only if you currently live in a badly erected tent with a broken zip. You do at least get paint – flat by default for the Urban, metallic for the Technic. And wheels – steel for the Urban and alloy for the Techic. Both versions boast waterproof upholstery, somewhere to plug in your iPod, and various lockable cubbies. Apparently the bowl-shaped rear seat base can be removed and flipped over, switching from convex to concave, and locked back in place, thus increasing rear storage from 31 to 55 litres. Quoted range is 62 miles, top speed is 50mph (which should feel quite quick with no doors) and a full recharge will require 3.5 hours’ suckling from a domestic three-pin plug. Bottom line? Twizy isn’t cheap, whether compared to a conventional city car, plush moped, commuter motorbike, Boris bike, buss pass or Tube ticket. But it is what it is, and it’s vaguely affordable if not entirely cost-justifiable. Info still to come? How much will it cost to insure? And, crucially, will Transport for London let it use bus lanes, since it’s kind of closer to a motorbike than a car. Sort of. Whether you think of it as glorified bike or brutally basic car, there’s no arguing that Twizy will need to create its own niche. It remains to be seen if its arrival will make an incredible, influential, iPad-style splash. Or a small, awkward, Segway-style plop.